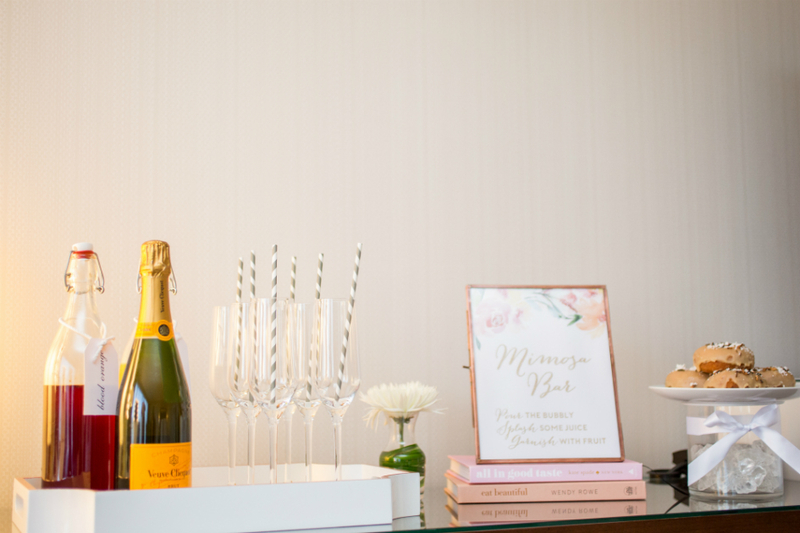 Add glamour to your big day with a dream dressing space. From the minute you walk into the lobby, a trained staff will be on-hand to start the day smoothly. You'll have help with your bags, recommendations for the nearest café, and even a morning wake-up call, if you so choose. Once in your room, assistance is just a phone call away. Hotel personnel are experts in hospitality, allow them to help you and your guests feel at home. 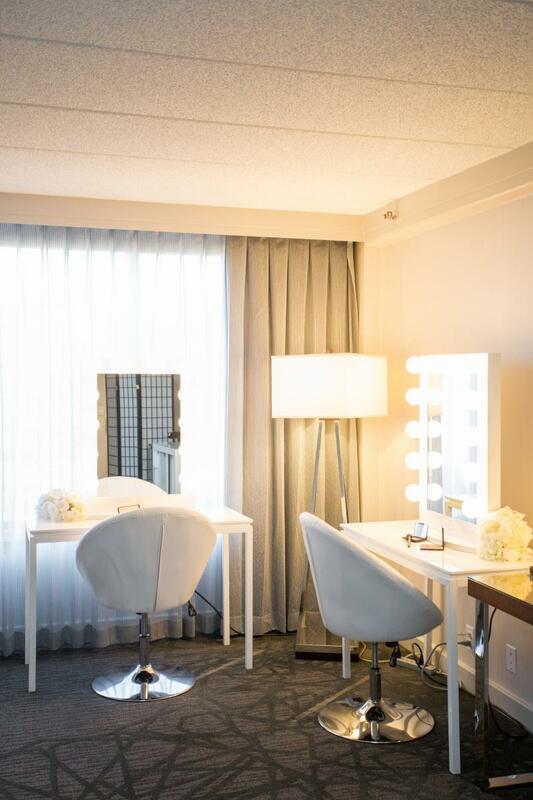 The Sheraton Bloomington partners with Dream Day Dressing Rooms of the Twin Cities to turn your hotel suite into a glamorous location fit for any bride or groom. Dream Day provides elegant and versatile décor and furniture to create a stunning, comfortable dressing area with pieces like a full-length jeweled mirror, classy chairs and several racks for hanging dresses, perfect for a day of pampering. 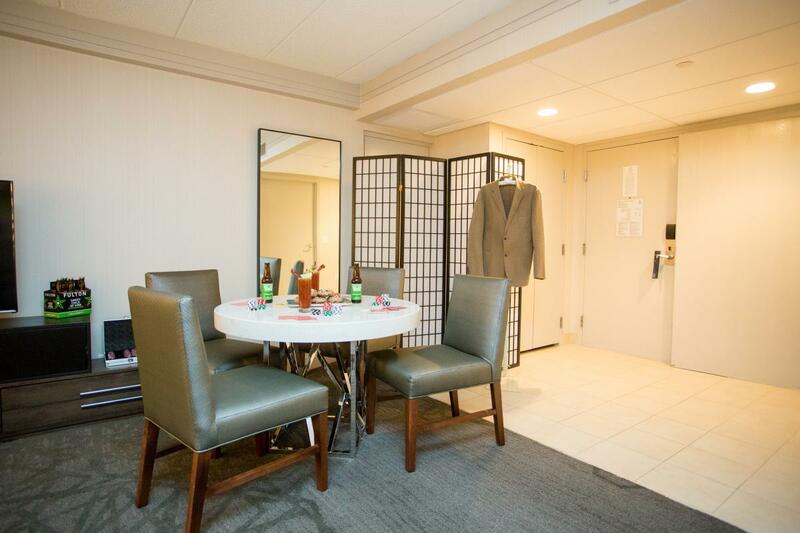 The groomsmen can enjoy a “Game Day” suite, complete with a poker set, jacket rack and an assortment of food and beverages. Multiple options let you customize your package, so your room fits your wedding party's size and budget. Packages start at $125. Your photographer will love snapping photos of you as you get ready without having to maneuver around a more public space, like a spa. With the addition of lighted mirrors, elegant furniture and large windows, you'll glow in these pre-wedding photos. You’ll be glad you had your own private space when you look back at the intimate shots. Book a larger suite or adjoining room to be sure there is plenty of space. 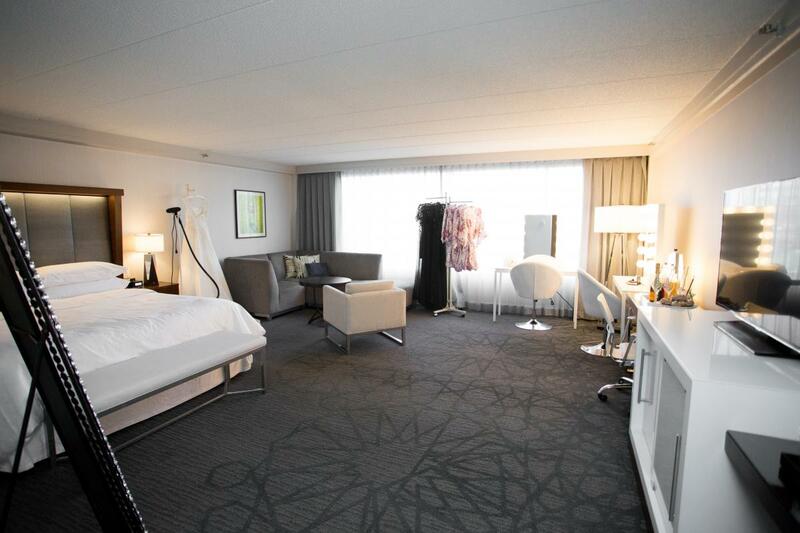 Pro tip: Reserve one room for suitcases and bags, to keep the main getting-ready room clutter-free. It'll be easier to relax and your photos will look more polished. With everyone in one location, there will be less transporation coordination. For an even easier morning routine, stay the night before and encourage your wedding party to do the same. You'll have extra time to sleep in, more time to figure out if you forgot something, and you won't need to deal with the headache of traffic. The Sheraton offers complimentary shuttle service for your wedding party and attendees if you book 20 or more room nights. Don't head to the ceremony hungry; take advantage of room service. 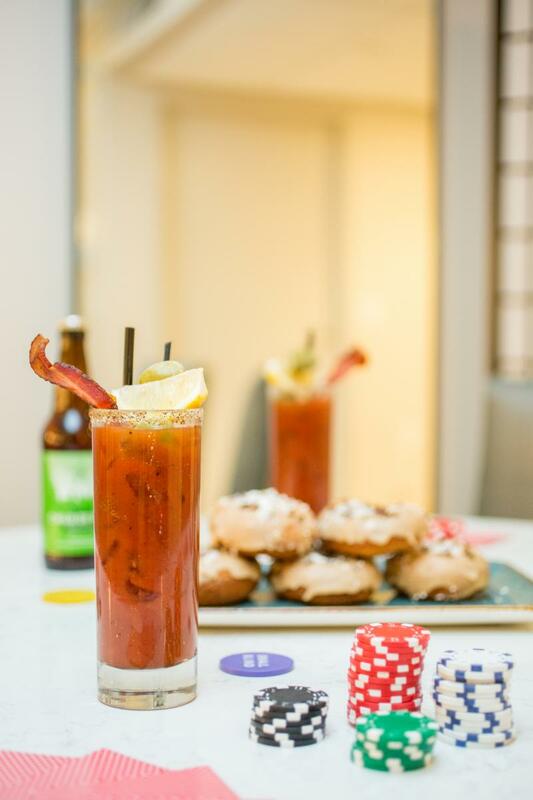 At a hotel you won't have to plan food or make sure everyone is hydrated. 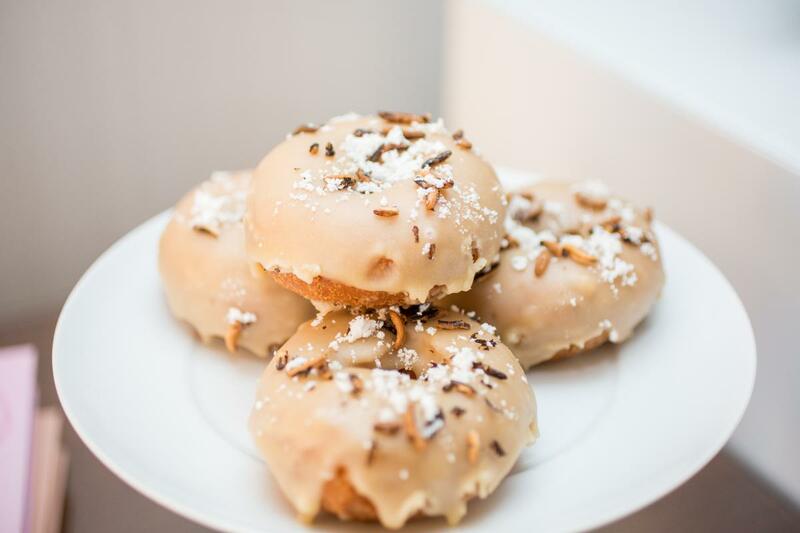 The Sheraton's Dream Day Dressing Room package allows you to treat your bridesmaids to mimosas, yogurt parfaits and assorted donuts, or your groomsmen to Bloody Mary's, sliders and assorted snacks, already set in your room. A hotel room provides ample space for the bridal party to get dressed and avoids having everyone spread across town, which leads to more quality time with the ones you love. You'll enjoy having your best friends and closest family members near you in the hours before you walk down the aisle. From beginning to end, hotels simplify the festivities surrounding your wedding and allow you to relinquish tasks to a trained staff, so you can enjoy the day. From a luxurious dressing room to a well-styled reception, let a hotel wedding provide you with the best possible service. Your dream event begins at the Sheraton Bloomington. The talented staff will make your experience worry-free and full of lasting memories. They provide the utmost attention to every detail, from the elegant ambiance of the ballroom to our impeccable service. The space is functional and modernly designed with exceptional culinary expertise.